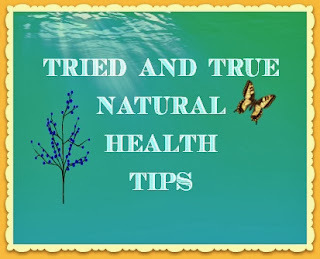 Tammy365: Can Lavender Oil reduce Skin Bruising? Can Lavender Oil reduce Skin Bruising? This small bottle of oil is close to a miracle worker to reduce skin bruising. I'm not a doctor and my statement has not been approved by the FDA! Please seek health advice from a medical professional. However, I have personally used Lavender oil for years to reduce the pain and tenderness of skin bruising. Can Lavender Oil reduce Skin Bruising? Case #1: My husband ran into the corner of the bed frame with his shin at a high rate of speed yesterday. After he said &%^*# and almost cried, he said "Look at that knot! It'll be a big bruise tomorrow!" The word bruise sent me to the cabinet for my little bottle of Lavender. I generously applied the oil directly to the accident area. 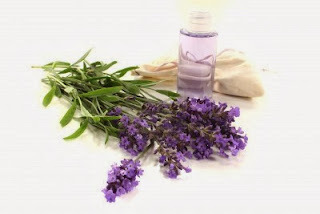 Lavender can be safely applied directly to the skin without a carrier agent or ill effects. Next morning, my husband admitted his knot was gone and he didn't even have a bruise or soreness from a bang on his leg that should have bruised and been sore for at least a week. There are many brands of Lavender oil. I simply prefer Nature's Sunshine Lavender Fine due to purity, collection techniques and manufacturing worthiness. I maintain a relation with Nature's Sunshine for my personal ordering. If you would like to order please consider using my ID 2926490 as a sponsor. Membership is free with a $40 order and members save at least 40% off of retail price. Sweet! I also use Lavender oil rubbed directly on my feet to soothe tired and aching tootsies. Being born with a birth defect, I have to pamper my feet quite often. If I take a trip, Lavender is a MUST to help reduce pain and swelling from a day on my feet. The oil will also help cuts and bruising on your feet. I recently went to London and Paris and was so glad to buy a bottle of lavender oil in the gift shop of Westminster Abbey! I had brought my own bottle but wanted a souvenir...ha! I also use Lavender soap to bathe with and cleanse my face from Savonsuds.com. Do you use Lavender oil? Leave me a comment and tell me your successes with the oil. What do you love to use it for?